Many discussions about renewable energy ultimately lead to a debate about energy storage. The broad range of energy storage options available is testament to the fact that there is no one-size-fits-all technology - each has its particular advantages and disadvantages. Selecting the right technology for an application requires a deep understanding of the functional demands to be placed on the storage system and, in turn, the demands that the storage system will place on the grid. Taking any of these energy storage media and building an efficient, reliable and durable grid energy storage system demands a range of technologies and competences, from power electronic conversion, through system-level and grid-level control, to forecasting and optimization. Ultimately achieving the desired functionality of energy storage in the grid necessitates an end-to-end architecture for the integration of all these elements with each other and with the grid. Energy storage has been a feature of electricity generation, transmission and distribution for well over a century. The introduction of the rechargeable lead acid battery in the early 1880s was later followed by pumped-hydro storage facilities, in which water was pumped uphill in times of low load so it could be released to drive turbines in times of high load. However, a lot of storage reserve nowadays is provided by running power stations below capacity, to be quickly ramped up on demand - so-called spinning reserve. Today, a move to "fuel-free" power generation, in the form of wind and solar power, means that the way energy storage is provided needs to adapt accordingly. Focus must be placed on the energy storage options that are already available, such as battery and pumped-hydro storage. This is indeed happening, with, for example, a renaissance in pumped hydro. Equally, modern batteries can store more energy, deliver more power, last longer and need little or no maintenance. Thanks to developments in power conversion with power electronics, these batteries can be seamlessly integrated into both AC and DC grids. For successful energy storage, several other technologies are needed in addition to the storage technology itself. These can be considered as three distinct layers: power technology, control and "smartness." 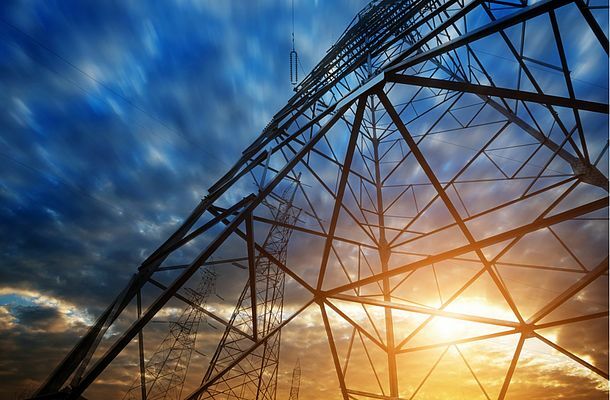 The power technology layer must ensure the safe, stable electrical connection of the energy storage media to the grid, encompassing the storage media, power electronic conversion and the AC grid connection or substation. Next, all elements of the energy storage system and the substation must be controlled locally to ensure safe, precise operation and the ability to execute commands from the grid-level control. With the power technology and control layers in place, the "smartness" layer is needed to determine and schedule the optimum state for each asset in the grid. Binding these three layers together is the end-to-end architecture needed to achieve true energy storage in the grid. Many energy storage technologies work with DC natively - for example capacitors, super-capacitors and batteries. To connect these to an AC grid, power electronics are needed for the conversion step. In addition, even those energy storage technologies that are natively AC - for example, pumped hydro and flywheels - rely on power electronics to optimally integrate them into an AC grid. Once electrically tied into the grid, an energy storage system must be effectively controlled. A range of control hardware and software is needed to suit all energy storage applications, ranging from distributed control systems for applications such as micro-grids, through dedicated power generation control systems for pumped-hydro storage plants. The ABB Enterprise Software Network Manager is a versatile control center solution for managing the grid. The generation management system (GMS) within Network Manager - SCADA (super-visory control and data acquisition)/GMS - enables bulk storage facilities such as pumped hydro or larger battery energy storage facilities to be scheduled and dispatched directly along with all the other power stations in the grid. Where there are many smaller storage systems and distributed energy resources - such as rooftop solar - distributed throughout the grid, the Enterprise Software demand response management system (DRMS) can be used to consolidate them into a virtual power plant. The generation management system can then schedule and dispatch this virtual power plant as it would a conventional plant. In 2003, ABB applied battery storage technology to create a spinning reserve for an electric authority in Alaska, USA. A power converter system solution, using nickel cadmium batteries, supplies power at 27 MW for 15 minutes and 46 MW for 5 minutes, which allows ample time for local generation to come online. In 2011, ABB partnered with a Swiss utility to commission the largest battery energy storage system of its kind in Switzerland. This 1 MW lithium-ion battery facility can absorb or discharge power for 15 minutes. It is integrated into the distribution network and is being used to evaluate performance in key areas such as balancing peak loads and intermittent power supply, and the viability of the solution for grid optimization. ABB has been developing technologies and providing solutions for the hydroelectric power industry for more than 125 years. In that time, ABB has supplied power and automation equipment for more than 300 hydroelectric power plants all over the world, from small installations of 1 or 2 MW to 10 GW giants. At a pumped-hydro storage plant in the Swiss Alps, for example, ABB is retro-fitting a variable speed drive (VSD) system based on the full converter concept. The SCADA/GMS generation management system within Network Manager is a well-proven solution, capable of managing pumped hydro -energy storage alongside all other forms of power generation. In Germany, ABB partnered with a university and an infrastructure and energy services provider in a project to demonstrate the ability of an energy management system to integrate renewables, energy storage, combined heat and power (CHP) systems, and electric vehicles into the grid. The need for energy storage in the grid has always existed, but in the past has largely been provided by the storage of fuel for fossil-fuel power plants and by keeping a proportion of capacity of power plants in reserve. With a move to wind and solar power, the grid must adapt to store electrical energy after it has been generated.